For more Thanksgiving inspiration, please follow our Pinterest boards for our latest pins! I have to admit that with the Christmas holiday season starting earlier & earlier every year, Thanskgiving is going to be a forgotten holiday. I am determined to appreciate & celebrate Thanksgiving before we really jump into full on Christmas mode in our house. Two weeks until Thanksgiving & I have created a Thanksgiving Bucket List full of simple and fun ideas to complete with my family. Feel free to print it off & use with your own family! 1. Find a fun way to express gratitude during the month. There are lots of simple ways to mark gratitude with your kids. Make a gratitude paper chain or gratitude jar writing down what you are thankful for. This year, we are making simple gratitude canvas boards. Last year, we did a simple thankful display as a family. There are lots of ideas out there, both simple and more complex, that you can tailor to what you are looking for. 2. Clean through toys & give to others. 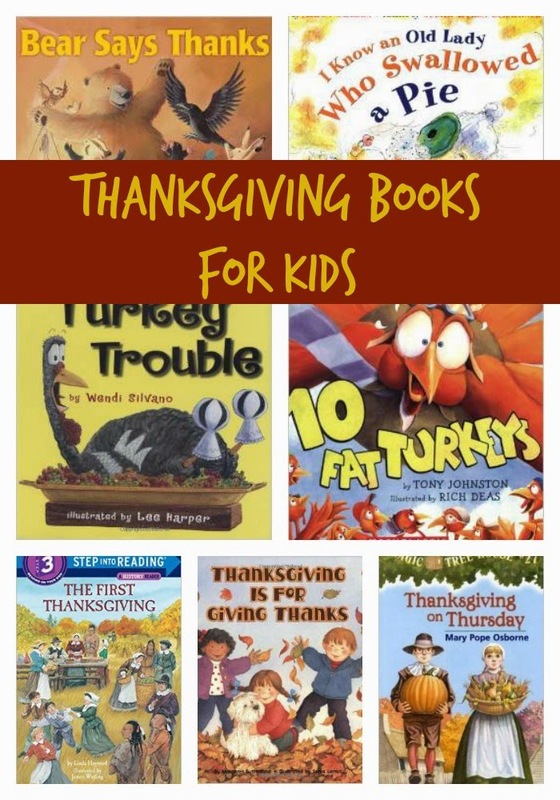 I love to read the book Berenstain Bears Think of Those In Need with the kids & have them take some time to really pick through their toys and books to give to others. My boys actually did really good cleaning through their toys this year and picking out trucks, cars, & other toys that they no longer play with. I love to do it during this season so it allows us to make some space before we get a few new things at Christmas. 3. Watch A Charlie Brown Thanksgiving. 4. Create a fun blessing mix & gift to others. Candy Corn reminds us that during the first winter, the Pilgrims were only allowed a few kernels of corn per day because food was scarce. Seeds are promises of a future harvest if they are planted and well tended. M & M’s are for memories for those who came before us. Hershey Kiss is a reminder of the love for family and friends that sweetens our lives. 5. Do some “turkey” crafting! 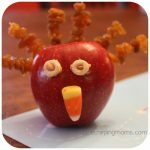 Later today, we will be sharing some fun and easy turkey craft ideas. 7. 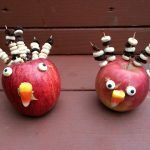 Enjoy a few Thanksgiving themed snacks. We have pinned some of our favorites to our Thanksgiving board on Pinterest, which also includes our No Bake Thanksgiving Cookies and our Apple Turkey Snack. 9. Play Thanksgiving Bingo. How adorable and fun is this! This is the perfect activity to do with the kids one night. 10. Make some pumpkin pie play dough or pumpkin pie pudding paint! 11. Create a special Thanksgiving bracelet. 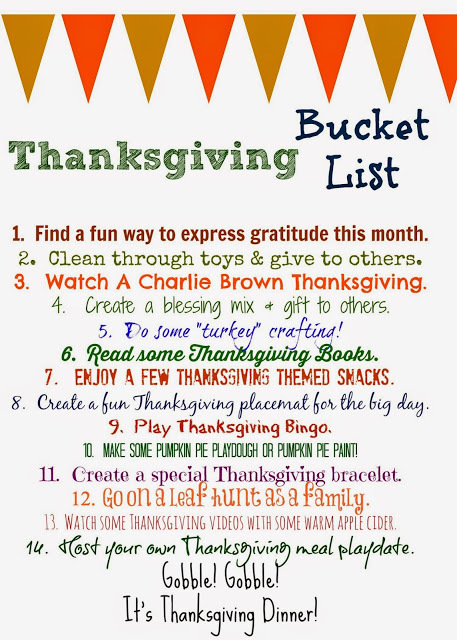 This is a really cute idea that I found while searching Thanksgiving activities for young children. You basically retell the Thanksgiving story with a simple bead bracelet. There are different versions so find the one that works for you & enjoy! 12. 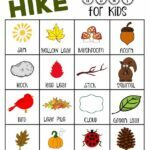 Go on a leaf hunt as a family. 14. Host your own Thanskgiving meal playdate. Invite several families & everyone brings something for the feast, make it all kid-friendly and simple. Mini turkey sandwiches. French fries or mashed potatoes. Dried cranberries. Veggies and dip. 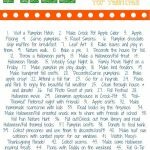 Have a little feast & do some of these fun activities together!